The Siemens S7-1200/1500 PLCs all support integrated Ethernet communications. Software programs such as Fernhill SCADA can monitor and control S7-1200/1500 PLCs using the built-in Ethernet port. Configure tags in Fernhill SCADA. 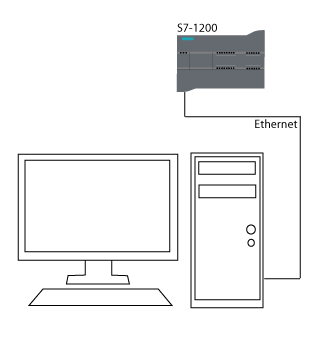 The S7-1200 and S7-1500 PLCs introduce the concept of an Optimized Data Block. An Optimized Data Block does not have a fixed defined structure; the elements within the block are managed by the system. An Optimized Data Block can not be accessed by the S7 Protocol. 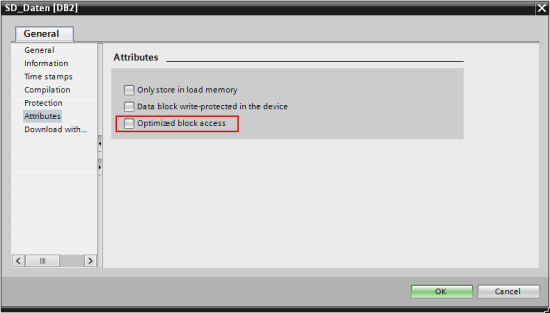 To access data blocks from Fernhill SCADA, you should use global data blocks configured for standard access.